The Ceylon Electricity Board (CEB) is planning set up two gas turbines at a cost of some USD 60 million each to produce 200 MW of electricity. A senior electrical engineer told The Island yesterday that the first turbine was scheduled to be commissioned in 2015 and the other in 2017. However, another engineer queried why the CEB should go for such turbines, when agreements with plants like the Puttalam Heladanvi 100 MW – the cheapest plant in the system – and the 100 MW Embilipitiya, though currently producing only 70 MW could be extended. “The contracts for both those plants expire at the end 0f 2014. Why on earth should the CEB go for gas turbines paying a staggering sum, when a unit of electricity produced by them will cost between Rs. 6.00 and Rs. 7.00 per unit more than that produced by Embilipitiya and Helandanvi apart from their construction cost? Meanwhile, some experts are of the view that the CEB should renew contracts to get 75 MW from the Lakdanavi, Sapugaskanda and ASCE plants (in Horana and Matara) all three contributing 25 MW each. Though the CEB could now manage due to water in reservoirs being at spill level, the 75 MW would be crucial for the national grid during a crunch situation, officials of the CEB’s System Control Division said. 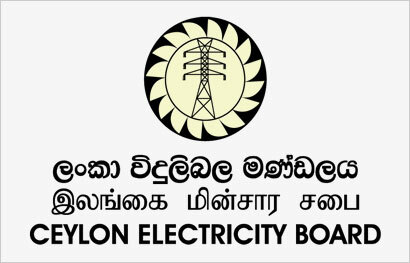 Officials of the CEB, while agreeing that the three plants run with heavy sulphur oil, which is the cheapest when compared with other combined cycle plants, said renegotiating with the Independent Power Producers (IPPs) was crucial and the regulatory body, the Public Utilities Commission of Sri Lanka (PUCSL) should spell out the methodology. The Island learns that three plants have stopped functioning since the lapse of their contracts last year. However, energy experts believe that the CEB had a 75 per cent stake after the agreement ended, thus the CEB should take measures to take advantage of the three plants as that would save about an estimated Rs. 2.1 billion a month, if used instead of other plants. Energy expert, Dr. Anil Cabraal, who is currently a Director of Energy Forum, after serving more the 15 years with the World Bank, pointed out at the 2013 Economic Summit, which concluded last week, that he did not see many benefits from gas turbines. CEB Engineers Union President Nandike Pathirage told The Island that the CEB was reducing the purchase of power from independent suppliers. He also said that gas turbines would be of utmost benefit when there were delays in plants like Sampur.